Makeup is wonderful due to the amount of creativity and reuse value it has to it. If you’re a makeup user, you know how much it can transform your face in multiple ways, and how much it lets you appreciate your face. But on the other hand, if you don’t take care of your utensils, you’re not going to get the looks and feelings you want! Here’s a couple of easy ways to brush up on your brush health and keep yourself looking fresh each morning (because let’s be real, getting into better cleaning routines is something we all need to do!). Keeping our skin, hair, and nails at their absolute best can seem like hard work sometimes. It can be a constant battle against dryness and the ravages of the modern world. Harsh products, pollution, sunlight, and stress can all take their toll on our skin, hair and nails. Follow this super simple routine and dry, tired skin will soon be a thing of the past. With just a few simple routine steps, your hair and nails will be healthy, strong and beautiful. Most of us start the day with a shower but what do you do after that? Head to the kitchen and grab a coffee? You should be moisturizing first. A moisturizer does not add moisture to the skin, it simply traps in what is already there. As soon as you get out of the shower, slap on the moisturizer. You have a window of about 3 or 4 minutes before it is too late! What you use in the shower is also important. Don’t strip your skin of essential oils or disrupt its natural pH with harsh products. Choose gentle and natural every time. Your general health is reflected in your skin, nails, and hair. If you are stressed, unfit or drinking too much alcohol, this will show in your appearance. Start off by looking at your diet. Are you getting plenty of fresh fruit and vegetables or are you snacking on sugary food? You should eat regular meals to keep your sugar levels regulated. Exercise is very important for your general health. You don’t have to start off with a marathon. All you need to do is have a few brisk walks, to begin with. Smoking is a disaster for hair, nails, and skin so get some help to give it up. The same goes for drinking a lot of alcohol. Stick to safe levels and choose fruit juices and herbal teas instead. Sleep solves everything so get enough! Skin, hair, and nails are not one-size fits all situation! When it comes to your skin, you must choose products that suit your skin type. Luckily, Sleek MakeUp are available online so you can take your time and choose from the comfort of your own home. You get what you pay for with make-up so buy what you can afford. Your skin deserves an investment so make one! Don’t let direct sunlight damage your skin and hair. Wear a broad-brimmed hat when you are out in the sun. Use a leave-in conditioner and a protecting spray when you are sunbathing and your hair will look amazing in the evening. Buy a high-quality sunscreen with a high SPF whenever you are outside. Even when the sun is not directly overhead, it can cause a lot of damage. After the long months of planning every last detail of your wedding, the day is finally upon you! Being just weeks away can be incredibly exciting, albeit filled with worry about whether or not you’re actually prepared. While you might have the vendors paid and the guests confirmed, what about preparations for yourself? Beyond the dress and shoes, it’s important to consider the beauty details of your big day. To ensure you’re ready, five of the most important things you’ll want to do (and when you’ll want to do them) are listed below. 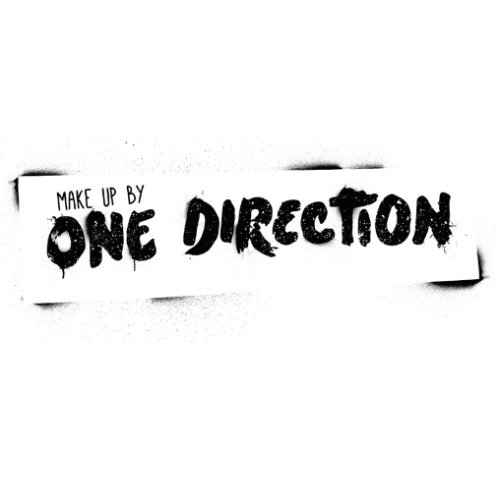 Enter for a chance to WIN one of the new Makeup products by ONE DIRECTION before they hit stores on November 15th. You are allowed up to 3 entries per day, so come back to vote again, it will give you a better chance of winning. Thanks for viewing my blog, feel free to leave a comment….